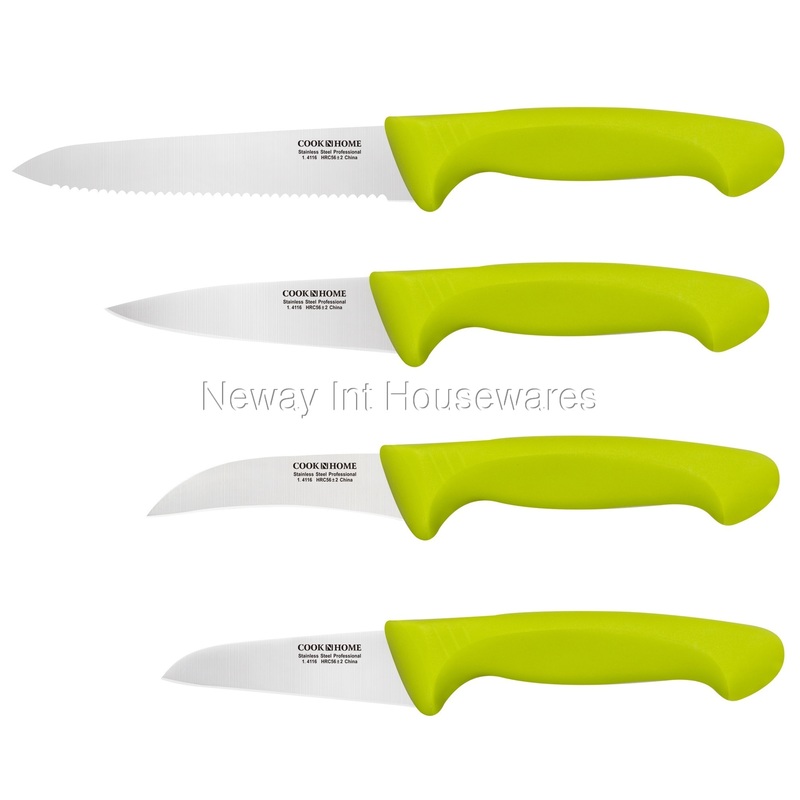 ​The Cook N Home 4-Piece Stainless Steel Knife Set, Utility, Paring, Vegetable, and Peeling, Green has a German engineered stainless steel blade for durability, balance, and sharpness. 5-inch serrated utility knife for sawing through crusts and hard surfaces. 3.5-inch paring knife for peeling and cutting small items precisely. 3-inch vegetable knife for trimming and chopping vegetables. 3-inch peeling/tourney knife has a curved blade for slicing around objects. Useful for preparation and small foods. Textured handle has an ergonomic shape for comfort/grip and is hygienic. Handle is brightly colored for visibility and nonslip with guard for safety. Dishwasher safe, hand wash recommended and dry immediately.